The mouth and throat are of immense important in that every nutrient you need goes in through them. 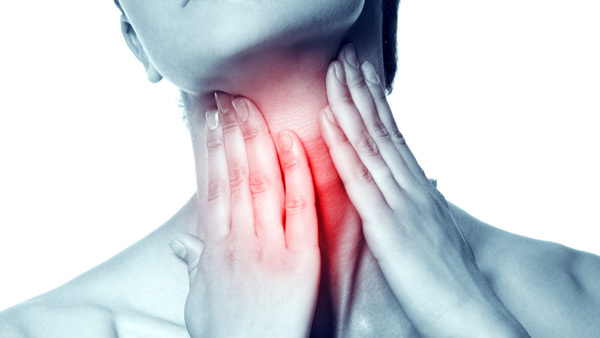 You have your vocal cords in the throat, which together with the tongue help you talk. Any oral infection can affect these areas and cause serious pain. Many people find them in trouble with white tongue, sore throat, especially during the winters. What exactly causes this? White tongue, or a coated tongue, is the result of fungi or bacteria colonizing on the surface of the tongue. This leads to the entrapment of the dead cells of the tongue, which gives your tongue a white appearance. You may also develop a sore throat with bumps on back of tongue. Caused by candida albicans, this oral infection leads to the development of fungi inside the lining of your mouth. You also notice white cream lesions on the tongue or inner cheeks. These sores can be extremely painful and even start to bleed when you scrape them. The infection can also affect the tonsils, back of the throat, gums, and the roof of the mouth. Anyone can get this infection at any age. Oral thrush usually indicates low immunity, which could be the result of an underlying medical condition or excessive intake of antibiotics. Some predisposing factors are HIV, diabetes, anticancer treatment drugs, and birth control pills. Leukoplakia may well be the reason why you have developed a white tongue, sore throat. In this condition, you develop white thick patches on your tongue, gums, and even inside of the cheek. These patches are usually the outcome of thickening of epidermal layer, but you can develop two types of leukoplakia – standard leukoplakia and hairy leukoplakia. Standard leukoplakia is the outcome of chronic use of tobacco. Chewing tobacco also results in the same and causes those white patches to appear in the area where you keep the tobacco. Excessive use of alcohol may also contribute to the development of standard leukoplakia. Hairy leukoplakia is the result of an infection caused by a virus called Epstein-Barr virus (EBV). Once you become infected, the virus stays in your body and waits for the times when your immunity is low. The virus reactivates when you have a weak immune system and causes conditions like leukoplakia. Bacterial infections can lead to strep throat and sinus infection, which in turn can leave you with a white tongue and sore throat. You may have other symptoms as well. For instance, someone with a sinus infection may also experience post-nasal drip, nasal discharge, and nasal congestion, along with pressure or pain around the eyes, nose, and head. A fever may also be present. Similarly, you develop a swollen tongue and lymph nodes with redness on the tonsils when you have a strep throat. You usually need medical attention to treat both conditions. You can develop a white tongue, sore throat and other symptoms when you HIV or AIDS. This usually happens because these conditions weaken your immune system, leaving you vulnerable to yeast or fungal infections. While there is no cure available for AIDS or HIV, it is possible to slow down the progression of HIV when diagnosed within 72 hours of exposure. You may also develop a white tongue with sore throat because of poor oral hygiene, dehydration, and high fever. Mouth breathing, dry mouth, and artificial dentures may also contribute to the same problem. Gargle with a saline solution. Take some Kosher salt or sea salt and mix it in water. You have a homemade mouthwash ready. First, wash your mouth with the solution, then use some salt to brush your teeth, and finally brush your tongue as well. Try glycerin. Using this soft natural substance on your tongue helps eliminate white patches. It also whitens the teeth and is very soothing for your tongue. Make use of acidophilus. It creates a protective layer on your tongue to prevent white tongue. As it is also a probiotic, it boosts your digestive system as well. Eat yogurt to treat oral yeast infections. This really works great if candida is the cause of your white tongue. Make use of hydrogen peroxide. It works because it has antiseptic and antibacterial properties. It eliminates infections and brings your tongue back in its normal condition. What's more, you should drink plenty of water daily and use a tongue scraper regularly to lower your risk of developing any white patches on your tongue. Gargle with salt water to alleviate pain and swelling. Be sure to increase your fluid intake to stay hydrated. Use a humidifier if possible to keep your throat and air passages moist. Drink hot fluids such as soup and tea to relieve throat irritation. Quit smoking and stay away from other tobacco products. Mix some honey in warm water and drink it for pain relief. Mix licorice root with gargle solution and use it to relieve pain and swelling. Make use of OTC throat lozenges that contain menthol to relieve irritation and soreness. Try OTC pain medications such as ibuprofen to relief pain and lower fever.